Animosaix is a unique Windows screen saver and wallpaper generator that automatically creates photo mosaic animations from your personal image folders. 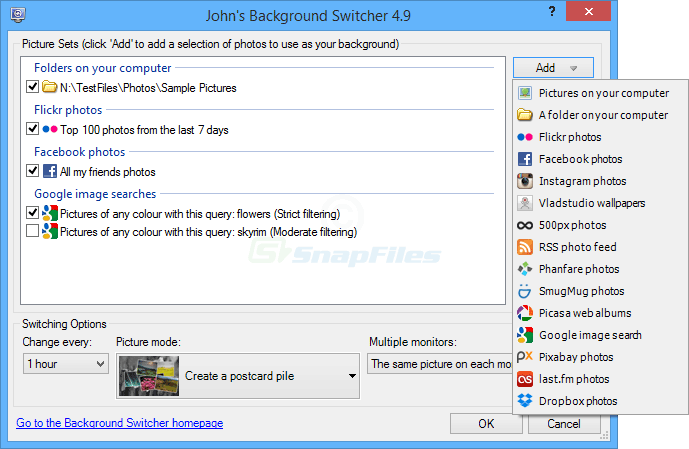 The screensaver generator displays your photo mosaics by zooming into... Offers to install promotional, third party software. Dexclock is a simple program that enables you to use Vladstudio`s Wallpaper Clocks (.wcz files). These wallpaper clocks combine a desktop background with an embedded, real-time clock display. There are hundreds of clocks... Offers to install promotional, third party software.